9 Months ago this came in with a fault for the steering angle sensor - code C0460-4B. It has returned with the same fault. It is a 2011 Holden Epica (re-badged Daewoo Tosca). I can't seem to re-calibrate it and called the dealers who advised getting another new sensor under warranty before replacing the ABS module. We did that with no change. I ordered a good(?) 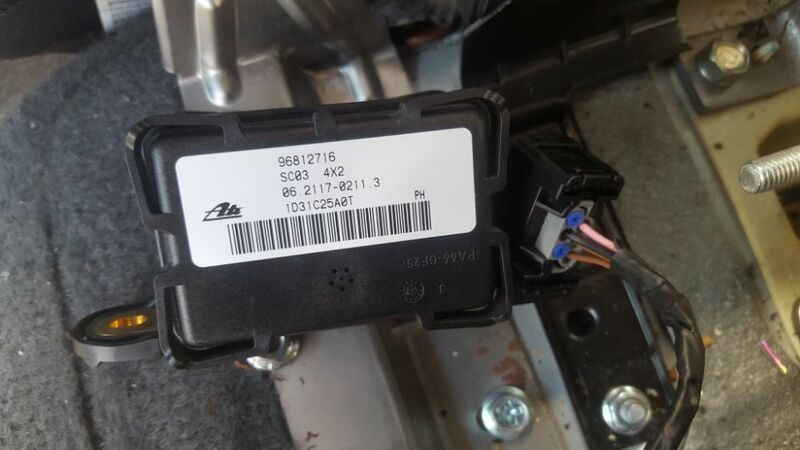 used ABS pump and fitted that and immediately got C0460, C0131 "pressure sensor" and C0186 "lateral sensor". All the codes cleared except C0460 "SAS not calibrated'. I tried with several scan tools to calibrate it. Finally the old Launch X431 said it was successful but the code showed again. I connected the oscilloscope to the sensor wiring - it has 6 wires. Ground, Positive 2 X CAN hi and 2 X CAN lo. 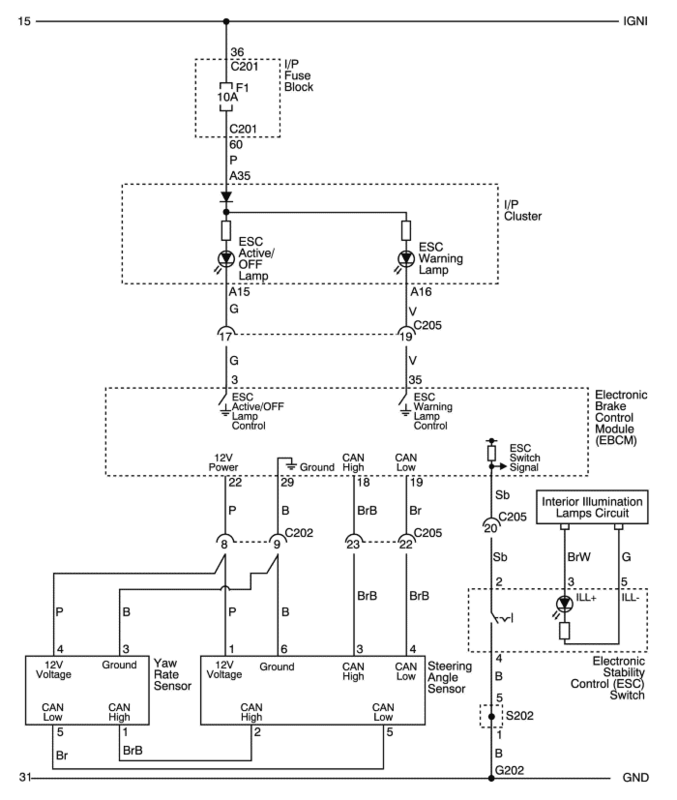 The wiring diagram shows that it shares CAN wiring with the lateral sensor. 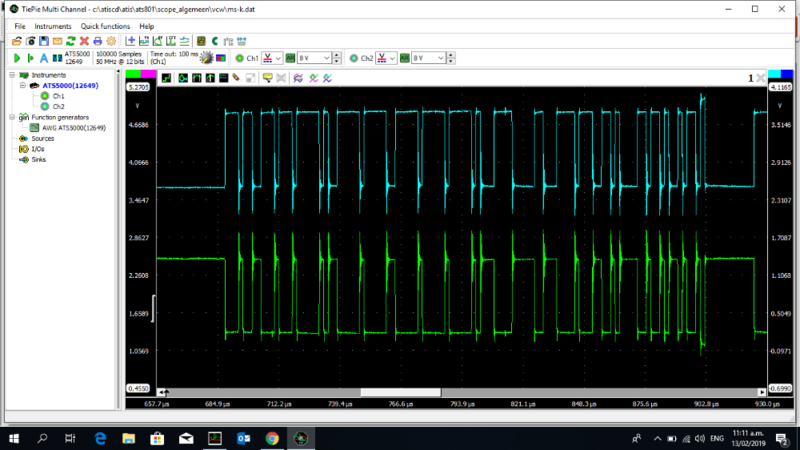 The poitive and ground are good - when I clear the code the positive falls away for a second - maybe that's normal but it doesn't fall away with the engine running. The CAN wiring seems to have some spikes on it - I'm not sure though whether that is a problem or not? Interested in suggestions. Last edit: 12 Feb 2019 18:49 by Paul6004. The Autoland scanner gets in and says it is doing a calibration then says "Link failure". The Autel maxisys doesn't even have an option for calibration. I've put the vehicle on stands so I can turn the steering easily, every now and then I turn it full lock in either direction to see if it will do a re-learn. 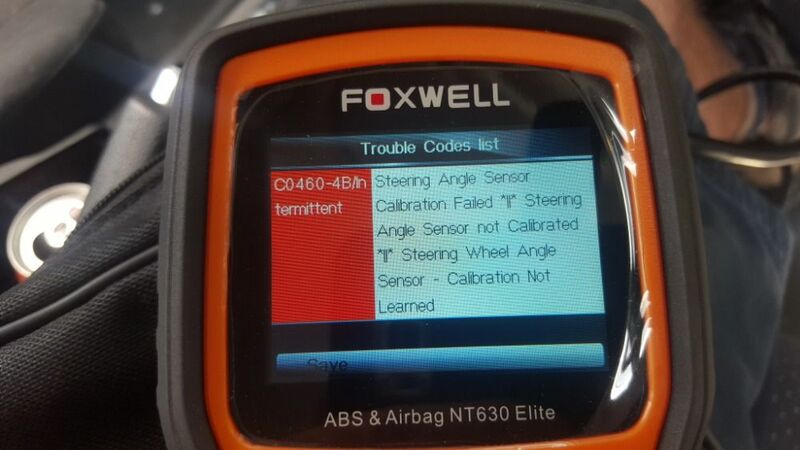 I connected my Foxwell and it has the relearn function but doesn't succeed. 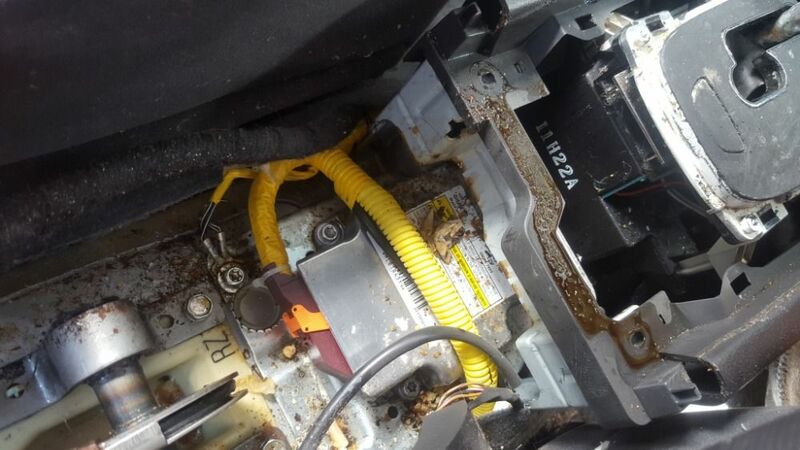 YAW rate sensor are mounted close to each other in the centre console - could be "coffee contamination" perhaps? I may get some time to get back onto it today. live data- check wheel speed sensors and also SAS value, does it read and register a change in degree? 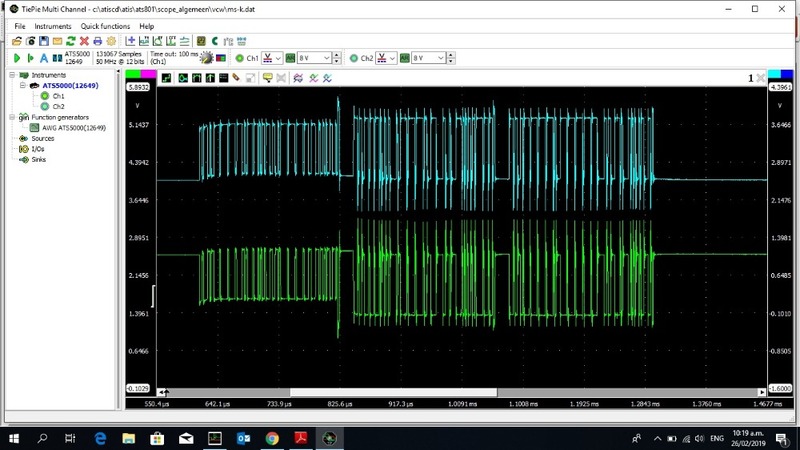 SRS monitors yaw as 1 of its inputs, are there any faults stored in SRS? As you know some cars you will do SAS calibration and then once initiated have to drive in a straight line. Not 100% on this model, also as I mentioned WSS can be important here again model specific but worth bearing in mind. Hi do you mean the supplemental restraint system monitors Inputs or what is srs ? chief eaglebear wrote: Hi do you mean the supplemental restraint system monitors Inputs or what is srs ? Yep, I meant the airbag module - just that they are mounted near each other so if someone spilled something in the centre console they might both be affected. 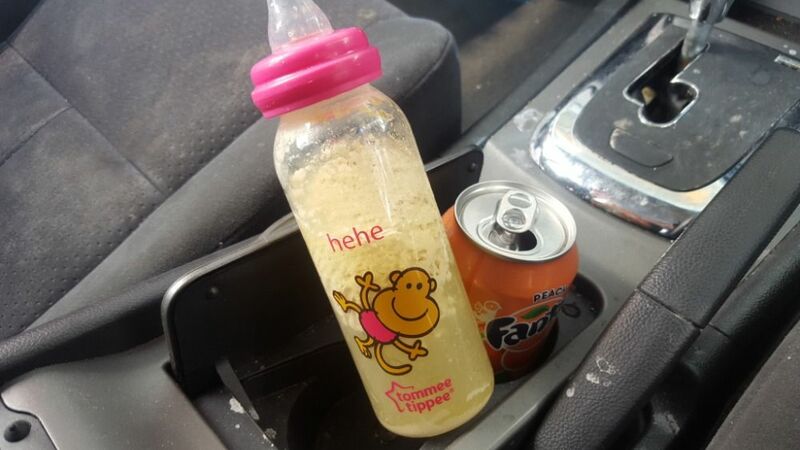 It is pretty messy in the car - but the YAW sensor looked clean. The airbag fault is due to a passenger detection fault. Otherwise - we took the vehicle to the dealership for their 'superior' diagnostic tools as advised by the supplier of the used parts. After 2 days they called and told us it needs a $2000 ABS module. After we told them we had already replaced the module and it would be very rare for them to have the same fault they went back to it to see if they could reprogram it. They failed at that and we have the vehicle back again. Our supplier sent another used ABS module plus a YAW rate sensor which I have fitted. I plugged in the 'new' ABS module and it gives exactly the same fault code. 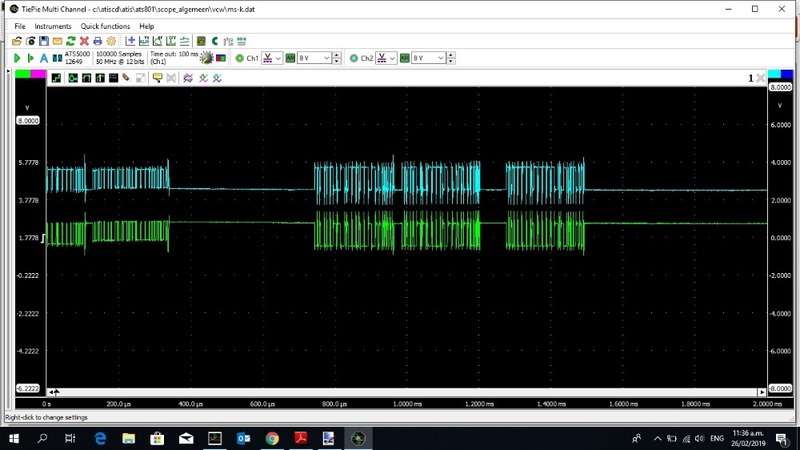 I'm about to scope the CANBUS signal from the steering sensor to the YAW rate sensor and see if there are any clues there. Getting involved in discussions because I have a lot to learn still. Last edit: 25 Feb 2019 15:00 by Desmond6004. 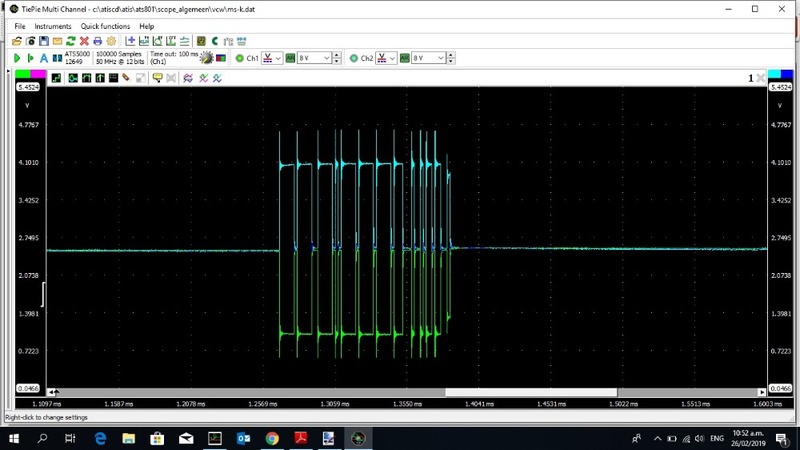 This is the pattern at the YAW rate sensor. Something not quite right there but we have another ABS module, steering angle sensor and YAW rate sensor. company that supplied the used ABS module as well. I just tried running new CAN wires to the YAW sensor - no change.